For the past thirty years, Dr. Richard Grossman has maintained a psychotherapy practice focusing on relationship problems, depression and general life dissatisfaction. Much of his work has centered on the treatment of adult children of narcissistic parents, people with narcissistic spouses or partners, and those left “voiceless” as a result of other emotionally painful life experiences. Dr. Grossman created the Voicelessness and Emotional Survival website (see links to the right) in 1999. The essays on this site—on narcissism, adult children of narcissistic parents, relationship issues, depression, parenting and therapy—have drawn hundreds of thousands of readers and have been “lifesaving” to many. In addition, the Voicelessness and Emotional Survival Message Board has over 100,000 posts from people deprived of voice who wanted to share their experience and help others. The Message Board has become a valuable resource for those wishing to learn more about narcissistic parents, spouses, partners, boyfriends/girlfriends, siblings, bosses and co-workers. 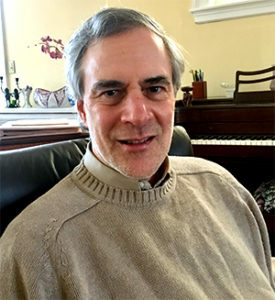 Featured three times in New England Psychologist, Grossman’s work has also appeared in Psychology Today, Boston Magazine, The Boston Globe and Cosmopolitan (UK). An occasional playwright, his ten-minute comedy “Reality Book Group” was top-billed in The Boston Globe and performed at the 2012 Boston Theater Marathon.